One of the things I find most interesting about the interactions between people and their money is the fact that so many of them have no idea what they want their money to do for them. They pay the bills, buy a few things, set aside money for retirement, and may even follow a number of financial rules of thumb. However, when they get right down to it, they are unsatisfied with the situation, and with the money that they have. It’s not always a question of whether or not you have “enough” to meet your needs. In many cases, part of the reason is that you really don’t know what you want your money to do for you. 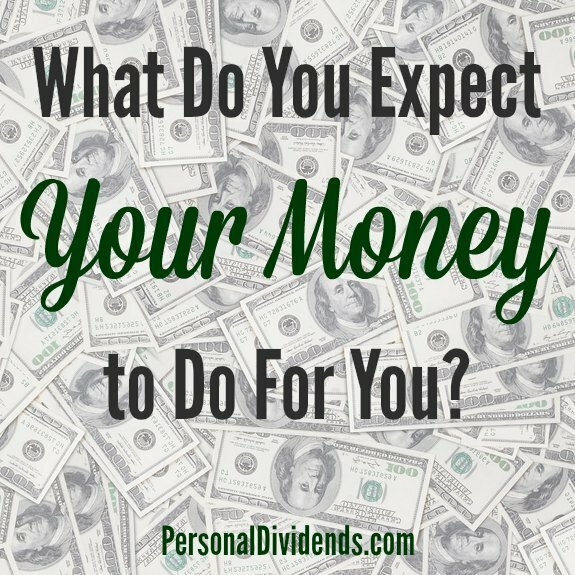 You haven’t actually sat down and thought about how your money could enhance your life. Before you spend more money on things that don’t inspire you, take some time and really think about what you want — and consider what your money could be doing to help you get there. The first thing to do is to think about your life, and what’s important to you. Take the time to write it down. It might seem like a silly exercise, but the reality is that you are likely to do better if you can organize your thoughts on paper, and look at what you’ve come up with. I don’t have a lot of stuff listed because I don’t have a lot of personal wants. It’s pretty basic for me. 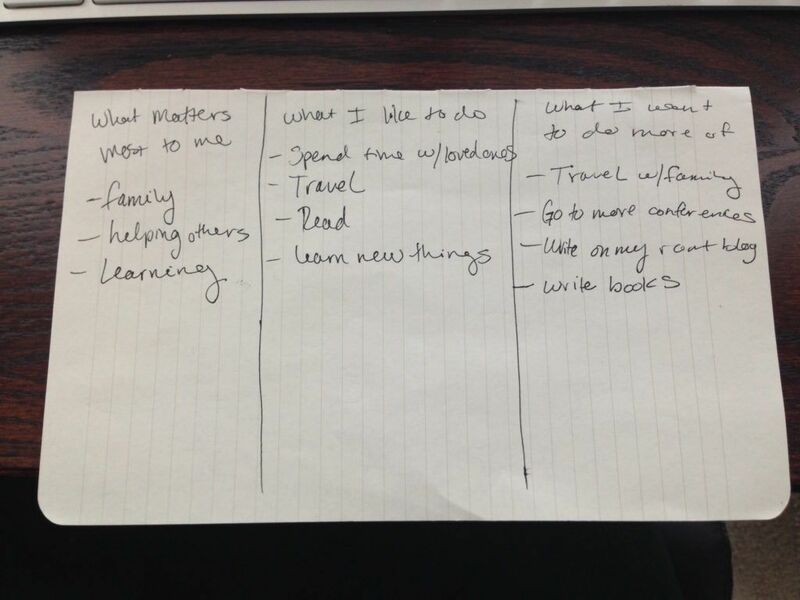 Although, now that I think about it, I really should have included “ensure my son has opportunities for learning and growth” in the “what matters most” category, and “spending time outdoors” should go into the “what I like to do” category. This didn’t take me a lot of time because I spent more time on this years ago. Every now and then I complete this exercise, though, just to identify which things have changed in importance for me. And there are times, when I’m really struggling, that I take longer over the list. But the bottom line is that you need to identify what matters most in your life, and figure out what you really like to do. Sure, watching TV is fine for me on occasion, but there are other things I’d rather be doing. If you find yourself with a huge list, then it means you might need to review some of the principles of essentialism, and then refine the list a bit. The idea is to pinpoint the most important things in your life, and the things that are most likely to provide you with the greatest fulfillment, and then focus on those items. The biggest issue is that many people don’t even go through a process of figuring out their values, and understanding what they want. Then, they just spend money on things they don’t really care about, or that aren’t in line with their values and goals. If you want to feel better about your situation — or at least have a solid idea of where you’re starting from — it makes sense to take the time to understand yourself. There’s a reason that I have a small TV, the cheapest cable package that allows us to watch live sports, and a small living space. It’s because it’s not important to me to have a big house and a big TV, because there are more fulfilling things for me to do with my money. When you start looking at money in terms of how it can help you live the live you want, or help you accomplish your goals, it’s possible to start changing the way you spend the money, and instead put your financial resources into the things that truly matter to you.